Can you see how a single page is similar to how you’re structured? You only have one head and one body, and the head always comes first. 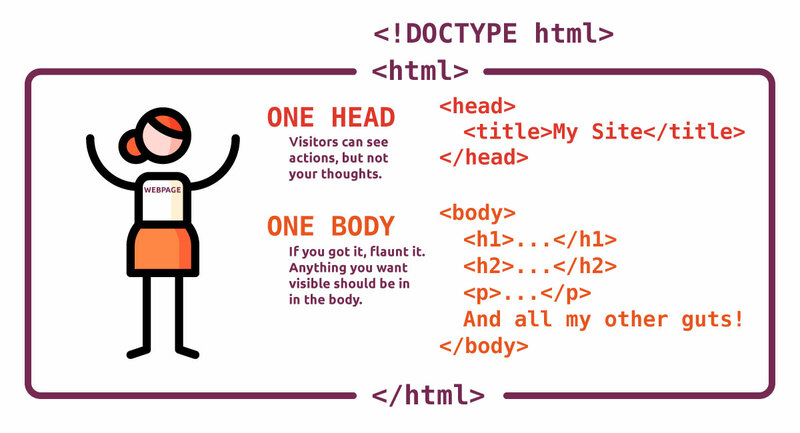 This is the basic layout of an HTML document.